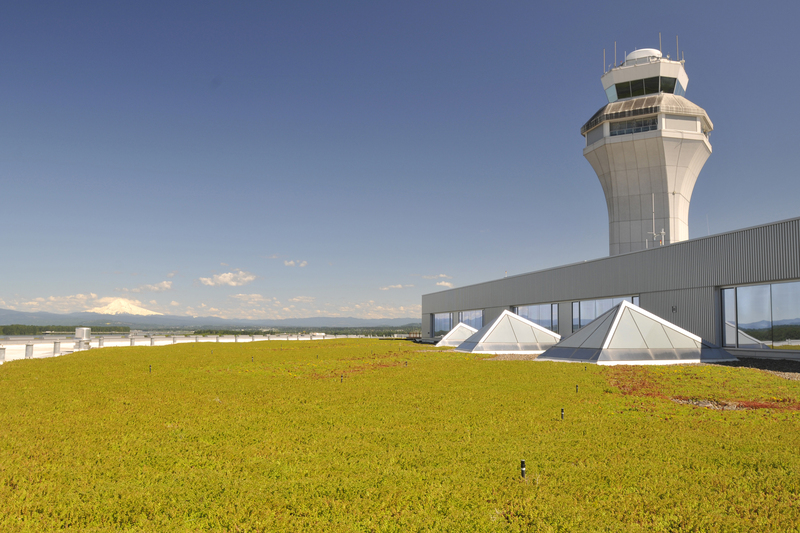 Renewable electricity using light and heat from the sun is helping Portland International Airport win the war on winter, and protect nearby waterways. 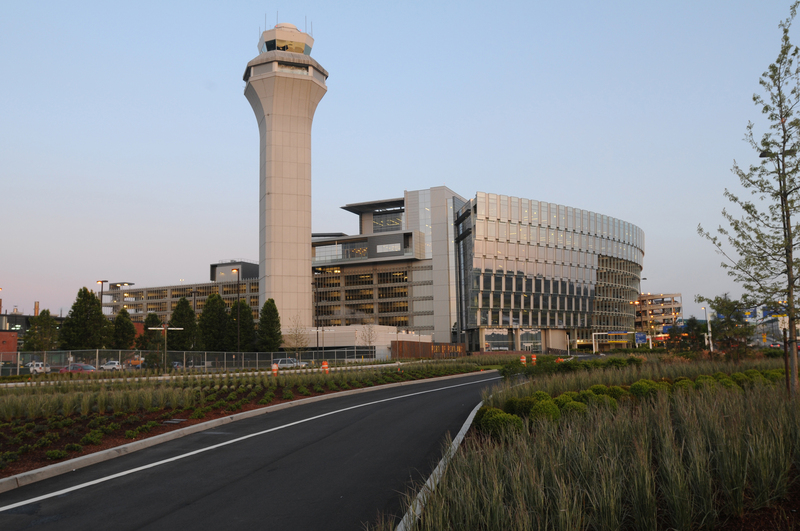 Solar panels are contributing power to the treatment facility for the airport’s newly expanded deicing stormwater collection system. The facility treats runoff containing deicers used on the airfield and aircraft to enhance flight safety when the weather is cold. The facility’s largest of two solar arrays is a 28-kilowatt ground-mount system featuring 120 SolarWorld panels commissioned in December. 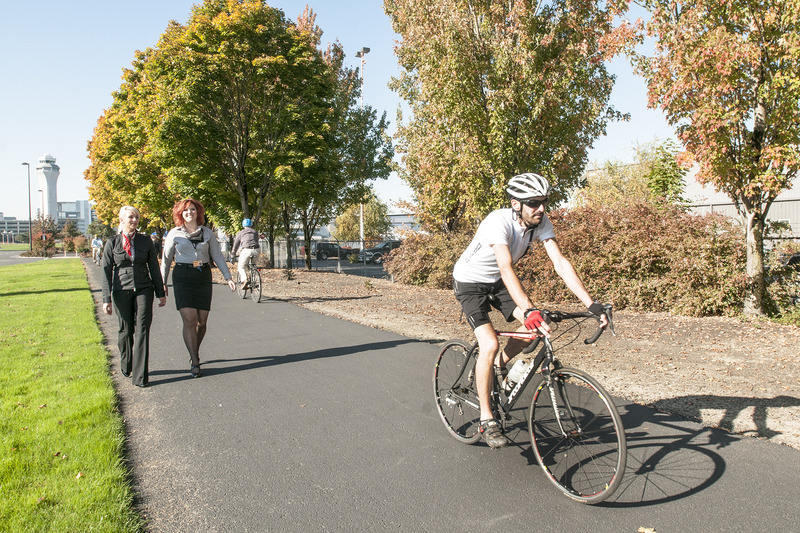 The project was funded through a Blue Sky renewable energy grant from Pacific Power. Commissioned in November, a n additional 6.6-kilowatt ground-mount system utilizing 32 solar panels also serves the facility. Both solar arrays are examples of the Port’s continuing work to integrate environmental considerations into our operations. Following two years of construction, testing is now underway on the expanded deicing stormwater collection system. The system includes a new 3-million gallon concentrated runoff storage tank, two 6.5-million gallon dilute runoff storage tanks, and three pump stations. Also included is the treatment facility, more than six miles of underground piping, and an outfall to the Columbia River. All system components are scheduled to operate in full compliance with Oregon Department of Environmental Quality permit requirements by April 30.